You are not logged in. 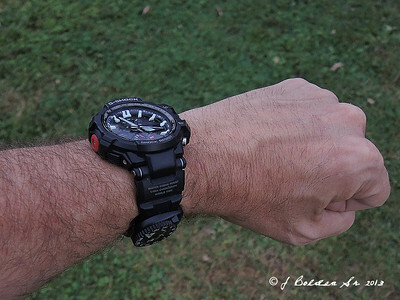 [Log In] Swamp Rat Knife Works » Forums » Swamp Rat Discussion Forum » Survival Forum » What Wrist Watch You EDW? #41280 - 01/10/15 09:29 AM What Wrist Watch You EDW? What EDW (EveryDay Wear) watch do you use? Not much talk around here from what I see about watches. Pretty important piece of Outdoor equipment for me anyway. My New Rangeman will be here today....can't wait! That looks awesome. I must admit that with a smart phone I never wear a watch. I do have a pocket watch in my truck just incase. Just an old Adina Countrymaster for me, it keeps good time and doesn't worry about being in water, and Aussie made. I'm sure there will be more come along. I have a pocket watch that I do use from time to time. Edited to add: if I were foolish enough to begin to rely on it, that is. 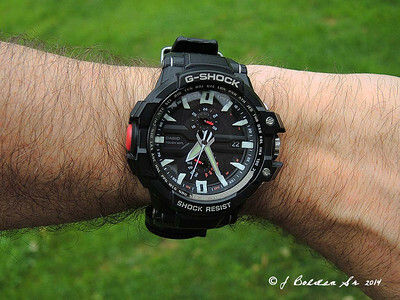 G-Shock that my wife got me for Christmas two years ago.